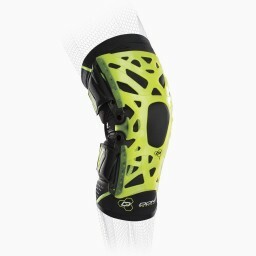 Wearing a knee brace for chondromalacia patella support will help absorb the shock and offload the pain while helping align the patella to help it keep tracking in place. Athletes who play or participate in running, soccer, baseball, snowboarding, and volleyball have a higher risk of injury. Chondromalacia Patellae is inflammation on the bottom of the patella or kneecap and deterioration of the cartilage. 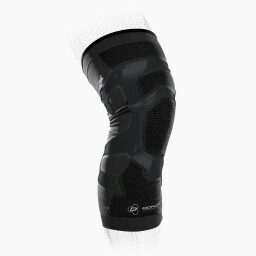 The cartilage in your kneecap provides cushion and is a shock absorber. Chondromalacia is sometimes referred to as patellofemoral pain syndrome and the key thing to remember is that patellofemoral pain syndrome does not involve cartilage damage. The most common cause of chondromalacia is from overuse or muscle weakness in the injured leg. As the cartilage wears over time and the knee cap rubs the side, you may hear grinding or clicking and feel irritation which causes pain. The best treatment for managing chondromalacia is bracing, resting, icing, anti-inflammatory medication, and physical therapy exercises to fix muscle imbalances in the quad, hamstring, hips, glutes, and calves. Surgery is not typically required.